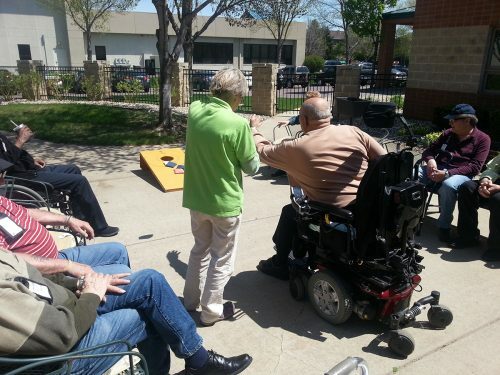 Day Break provides a safe and stimulating environment for adults of all ages. What specific diagnosis do you frequently care for? Do you have special accommodations or services for individual with Alzheimer’s disease or other dementia? Active Generations has more than 30 years of experience providing care and services to participants with various diagnosis and memory loss. Day Break and Ceili Cottage are designed to enhance the safety, comfort and independence of participants. Security features include magnetic locks and keypad entries to prevent elopement. Specially designed dementia activities and supportive care are provided by an experienced and well-trained staff, each having completed Dementia Specific Training. Family can rest easy knowing their loved ones are safe, having a good time, and receiving appropriate care and attention. How does a person enroll or get more information? For additional information, to arrange for a tour or to begin the enrollment process, call Adult Day Services at (605) 336-6751 and ask to speak to the Program Director or email mkeegan@activegen.org.